Discover the excitement of writing and receiving traditional mail! Despite the growth of Internet-based communications, our local and global postal services continue to play a role in our community. 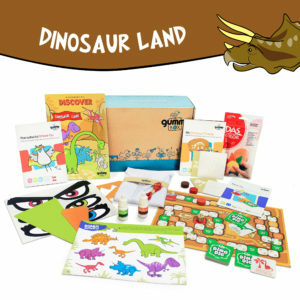 This box encourages plenty of fun writing practice along with some pretend play! 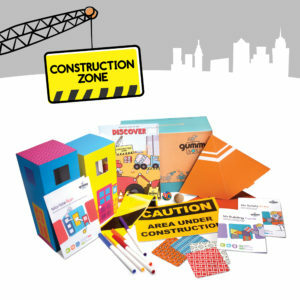 This box includes an activity book and all the materials for the following activities. 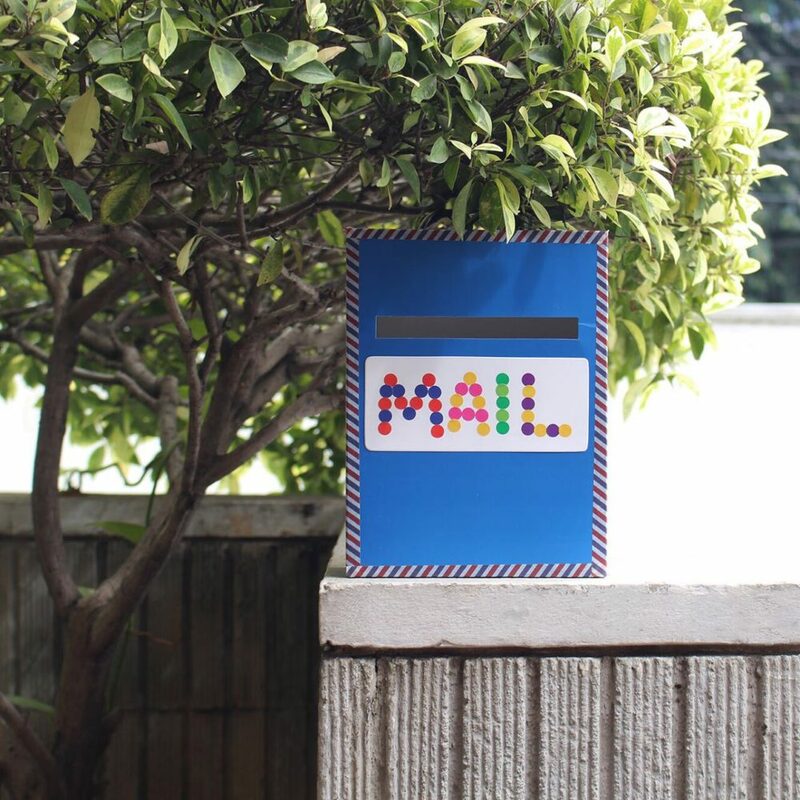 Decorate a mailbox to receive letters and notes. 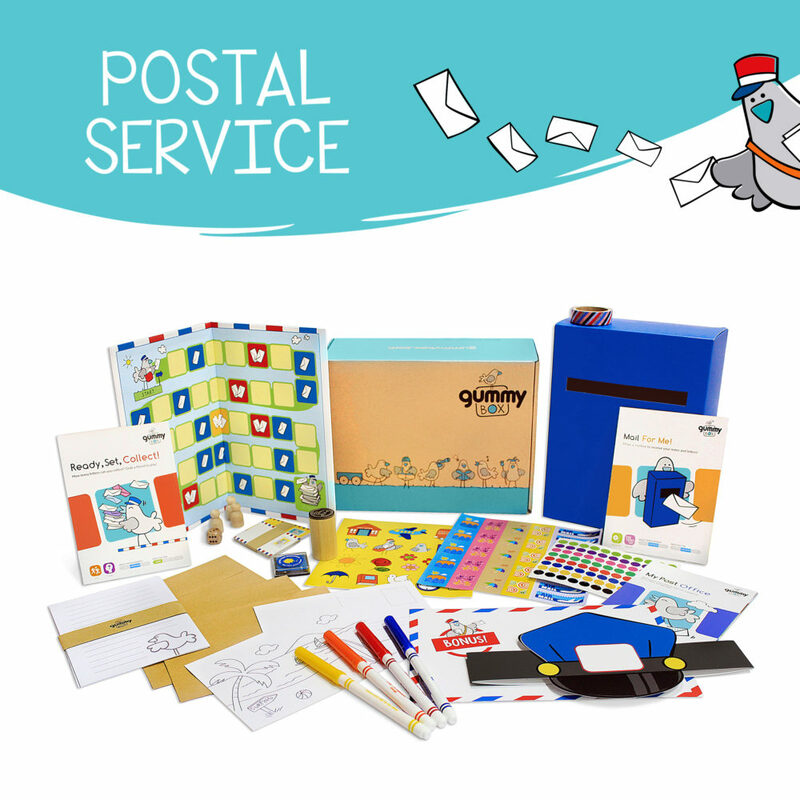 Write your own letters and run a pretend post office. How many letters can you collect? Grab a friend to play a mail-themed board game. Recommended for children aged 4 years and up. 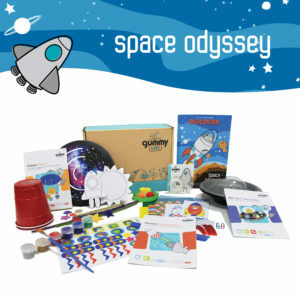 GummyBox was founded on a passion for creative education. 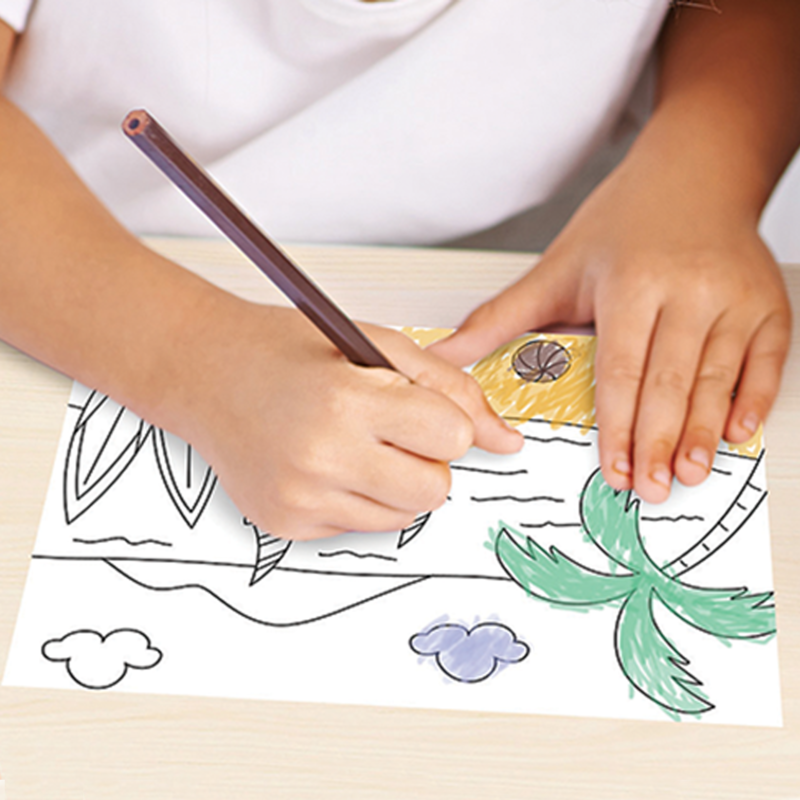 Our goal is to invigorate the spirit of exploration and provide outlets for young minds to express themselves. Questions for us? Reach out at hello@gummybox.com!